Wolfgang Voigt releases music under many monikers as if attempting to conceal his steps from those who would fix his ethos in place. The Cologne, Germany artist's work as Gas, however, continues to be among his most iconic. With a rapid-fire string of releases during the second half of the '90s and into the very beginning of the 21st century, the Gas project plumbed the depths of ambient and minimal techno, depths that until then had not been inhabited with quite so much assurance, patience, and nuance. Though Voigt has since continued releasing music and operating the helm of his Kompakt label, the release of Narkopop marks the first Gas album in 17 years. Following on the heels of last year's Box, a collection of previous Gas offerings from 1997's Zauberberg to 2000's Pop, Narkopop constitutes not just a revisiting but a reimagining and re-contextualization of Voigt's work under the venerable project. Much of Voigt's output as Gas has been sample-based, creating condensed and heavily processed soundscapes using classical music and even old pop songs as its initial ingredients. Through his alchemy, Voigt rendered these works unrecognizable and made them entirely his own, love letters to the ineffable state of awareness he found in the woods during his youth. Beats, when they appeared at all, were often muffled and muted, kicks from just outside the veil of consciousness that only occasionally materialized as echoes of dance music. If previous Gas albums were all fog and illusion, Narkopop is striking for its clarity. It is as if the curtain that hid Voigt's prior machinations has been lifted, revealing the symphonic channels that have resided beneath the surface all along. Indeed, save for some static, fuzz, and processing here and there, Narkopop often sounds more classical than ambient. Its melodies, while similarly spacious and diffuse, are more clearly defined. Voigt leaned heavily on the compositions of Richard Wagner with his previous releases, and that influence is more evident than ever on the high romanticism of these moody, emotional pieces, which exhibit a stormy yet contained aesthetic. While Voigt applies his characteristic 4/4 rhythms to many of these pieces, nothing remotely approaches the relative techno heights of tracks like the finale to Pop. Instead, the beats often feel more like markers of time rather than instruments of pleasure. On "Narkopop 2", "Narkopop 7", and "Narkopop 8", for instance, their steady tap feels anxious and expectant, as if to remind the luxuriating strings that they have only so much time to get their point across. This tension between simmering anticipation and spacious meditation keeps the album feeling dynamic, though it is typically the symphonic swells that win out in the end, stretching out heedlessly often for ten minutes at a time (or, in the case of the album closer, nearly twenty). "Narkopop 5", bisecting the record and concluding its first half, does the most to shake up this arrangement, marking the only time the beats threaten to overtake the rest of the production. A funereal dirge like an elegy to the fallen, the rhythm is more aggressive here, sounding like clattering war drums more than precise, chilly techno. The mournful swells and faint horns resting just underneath make for the most evocative and dramatic moment on the record. 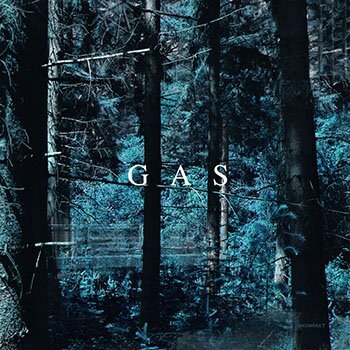 Indeed, though the Gas project is in many ways an exercise in subtlety, Narkopop's best moments arrive when clearly defined and accessible moments punctuate the adrift soundscapes, much like Voigt's previous work. Longtime fans may miss the impenetrable, unspeakable haze that characterized Gas albums of the past, and the formality of Narkopop may fail to endear it to some. Even so, however, Voigt's hand is evident here as ever, and his symphonic strokes continue to evoke cavernous depths difficult to apprehend fully. This push beyond the sensory world, into a mental state that elides the components of consciousness, continues to define Gas more than twenty years after the project began. Narkopop emerges as a fresh conceptualization of the same tradition, refined into an altered form while retaining the fundamental aesthetic that made Gas so groundbreaking in the first place.